One of the first things to do, when you establish a new business, is to apply for a merchant account to accept credit cards. However, it might be hard to get a merchant account if your personal credit score is low. What can you do if this is the case? Here are a few possible solutions. The easiest solution is to talk directly with your bank director. Even if you don’t have a good credit score, your bank might still give you a merchant account if you already have a checking account and a positive long-term relationship with them. Also, the fees to set up a merchant account can be lower when you apply at your bank. Enlisting a co-signer with a good credit score will usually allow you to get a merchant account even with blemished credit. You and the co-signer need to understand that you will both be liable in the case of unpaid fees, default, or chargebacks. 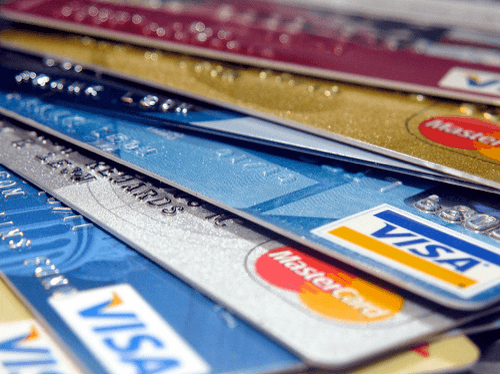 If you have a bad credit score, another solution is to choose a third-party card processor instead of applying for a merchant account. Third-party providers such as Paypal accept credit card orders on behalf of the merchant and handle the entire transaction. If you plan on having significant sales volume, though, you will need your merchant account. In fact, third-party providers usually have limitations, and their fees can exceed the cost of setting up your account in the long run. You can ask your credit card processor to leave a rolling reserve, which is an amount of cash that will cover them in the case of chargebacks, fraud, or default. The reserve fund amounts to a percentage of your gross sales (usually five to ten percent) and can’t be accessed for a predetermined number of months or years. This possible solution comes with disadvantages, though. The funds don’t accumulate interest, and the rolling reserve has an impact on your monthly profit and cash flow, which is essential when you first establish your business. Likewise, ask your processor for an ACH delay, which is a temporary hold on the funds you are acquiring while the bank makes sure the transaction is legitimate. This lowers the risk for your bank, but unless you have a consistent stream of deposits, an ACH delay can have a negative impact on your business operations. A high-risk merchant account might be your best bet if you have a bad personal credit score, or you operate in a high-risk industry such as gambling, pharmaceuticals, or adult entertainment. The disadvantages of a high-risk account are higher setup and monthly fees, and increased chargeback fees, but in many cases, the benefits outweigh the costs. A high-risk merchant account, in fact, processes card-not-present transactions, allows sales to higher-risk countries, and processes multiple currencies. Don’t despair if you have a poor credit score. A high-risk merchant account can be the first step in establishing business credit.